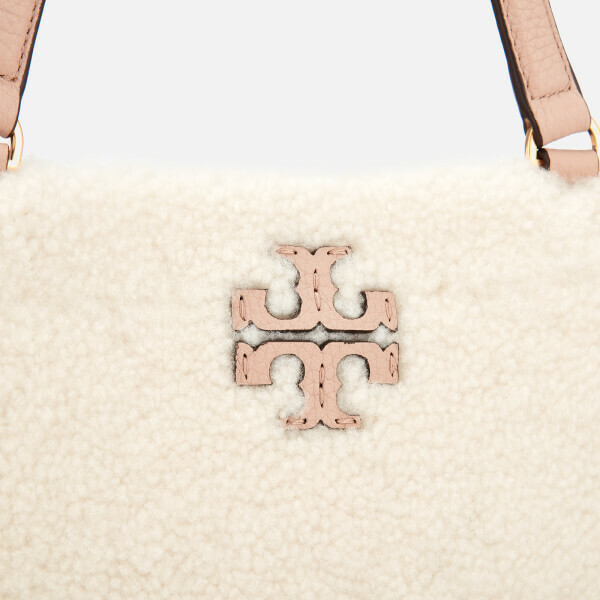 Effortlessly stylish with fluffy shearling panels at the front and back, the women’s large ‘McGraw’ carryall from Tory Burch’s eponymous label boasts an open top design with an optional magdot tab and leash-clip bridge closure to secure its contents. 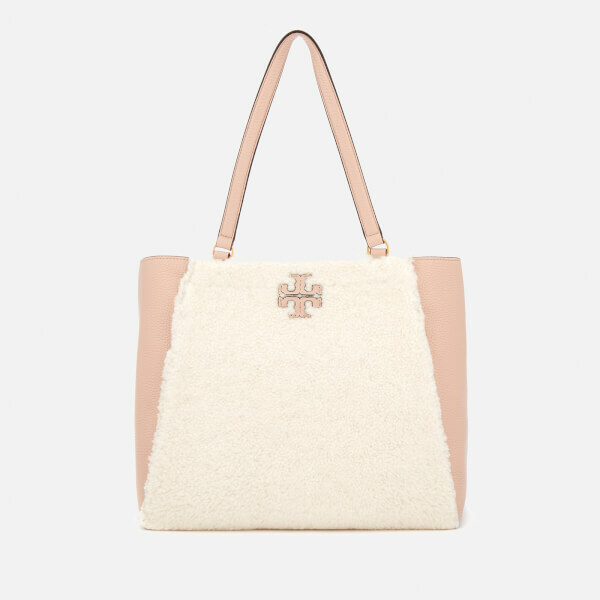 Suspended from twin handles, the grainy leather bag opens to reveal a spacious, suede-lined interior with two slip pockets within. Complete with the brand’s signature stacked T logo stitched to the front. 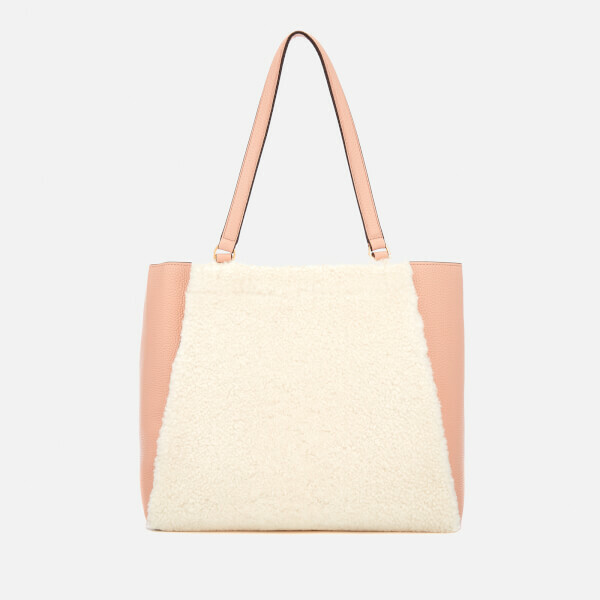 Arrives with a protective dust bag. Dimensions: H: 29cm x W: 33cm x D: 17cm. Handle Drop: 22cm.